"Love always elevates the character of man. It never lowers him, wrote the young revolutionary in a letter to his comrade in 1929." Come Valentine’s Day, and the Hindutva brigade – comprising organisations such as the Bajrang Dal, Hindu Vahini Sena, Shiv Sena etc – start gearing up to unleash violence on young couples. In the past few years, hooliganism has marked this day in every big city and town. The main reason for this is the Hindutva brigade’s view that Valentine’s Day is against “our culture and tradition”. However, this vicious campaign is not limited to ‘tradition’. Fresh efforts are being made by these organisations to stop Valentine’s Day celebrations by conducting an orchestrated propaganda linking Valentine’s Day with revolutionary freedom fighter Bhagat Singh’s martyrdom day. It is well known that when it comes to twisting facts, appropriating icons of India’s freedom movement, such as Bhagat Singh, and even circulating fake news on social media, none can beat the Hindutva groups. 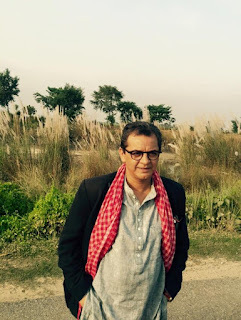 For, playing around with historical dates and their significance to whip up hatred mainly works to the advantage of the divisive Hindutva agenda. Take the case of Valentine’s Day, which falls on February 14. 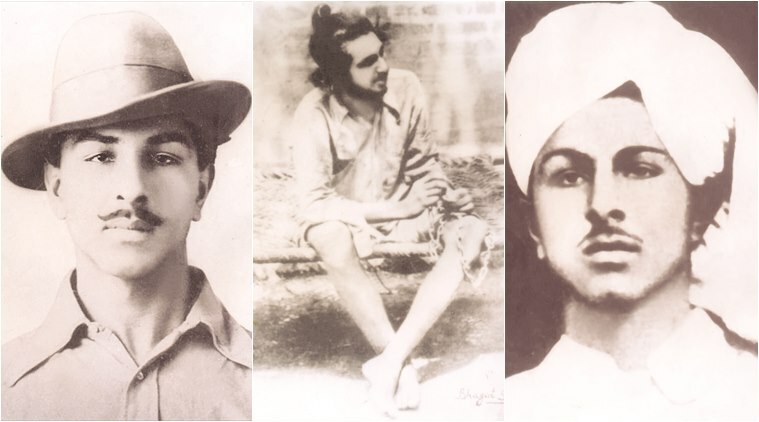 On the eve of Valentine’s Day in 2011, some people spread a rumour that the revolutionary freedom fighters Bhagat Singh, Sukhdev and Rajguru were hanged by the British government on February 14. The zealots went on to spread this misinformation through Wikipedia. As The Hindu reported , “The Wikipedia page on Bhagat Singh underwent many editing changes on February 13 and 14, Valentine’s Day.” The date of his hanging had been changed from March 23, 1931, to February 14, 1931. On Twitter, this misinformation spread like a fire. The attempts to change history did not end there. The Shiv Sena (Punjab) demanded the day be marked as a ‘Black Day’ because freedom fighter Bhagat Singh was hanged on this day. Last year, this propaganda reached a crescendo when an education officer in Pune passed an order in a school, asking it to observe February 14 as the martyrdom day of Bhagat Singh and his comrades. The Solapur zilla parishad education officer (primary) Tanaji Ghadge also issued a letter to all block education and administrative officers, asking them to organise a programme in all schools under their jurisdiction on February 14, paying tribute to the martyrs of the freedom struggle, Bhagat Singh, Sukhdev and Rajguru , stating that this was because they were hanged on this day. The self-proclaimed nationalists of the Rashtriya Swayamsevak Sangh (RSS), Bajrang Dal and other Hindutva groups (followers of Veer Savarkar and M.S. Golwalkar), are in a state of pain as they don’t have their own icon who gave up his or her life or made sacrifices during the freedom movement. What lies behind their zeal to oppose ‘westernised love’ by distorting history is an attempt to plug their own ideological and political deficit. This is why they have devised a new game plan since the past decade — to misinform people and instigate in them hatred against open-minded youth. In this process, the Hindutva forces are distorting history to hijack the heroes of the freedom struggle, particularly, young revolutionaries like Bhagat Singh, by portraying them as agents of Hindu Rashtra. The whole world knows that the death warrant for Bhagat Singh was issued on October 7, 1930, and he was hanged on March 23, 1931. There is, of course, a wider irony in the Hindutva groups’ disinformation campaign. In a letter to Sukhdev, dated April 5, 1929, Bhagat Singh wrote, “Love elevates the character of an individual”. But, the insane hatred against Valentine’s Day being whipped up by Hindu fundamentalists is spreading misinformation among the people with regard to the country’s proud legacy of sacrifice for love. Bhagat Singh and his comrades logically advocated the idea of an independent India which was to be inclusive in nature, with strong bonds of commonality and rejection of religion in matters related to the state. In simple terms, they were against the formation of any Hindu rashtra or an Islamic state. The distortion of history and facts by religious zealots, therefore, reposes a greater responsibility on us to keep alive the ideals for which these revolutionaries lived and died.